Edge Hairdressing has been a -loved feature of Allerton Road for many years and was formerly known as Lynda Hair Design since opening in 1976. Owned by Lynda Mitty, the salon benefits from her 42 years of experience and has won numerous awards for training & competition wins. The salon is a Schwarzkopf Key Salon and has even carried out demonstrations for the National Hairdressers’ Federation Artistic Team. 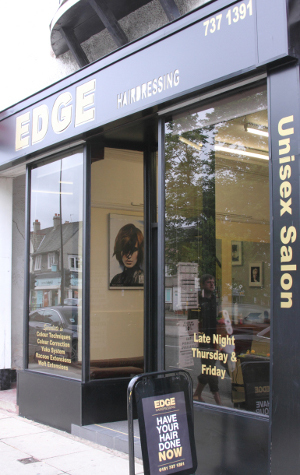 Re-branded in 2013, Edge Hairdressing is located in the midst of the bustling, vibrant Allerton Road in South Liverpool with plenty of on-street parking. With skilled stylists, great products and featuring as a Schwarzkopf Key Salon, this friendly Unisex Salon will give you the style you deserve! Our creative team of stylists are all trained to offer a very high standard of work, delivering a high standard of professionalism & take the utmost pride in customer service.